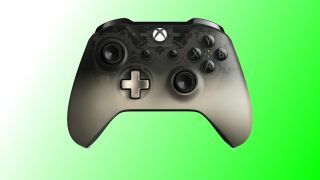 If you're looking for a sweet pre-order deal on an Xbox One controller that looks like it belongs to a style-conscious cursed spirit, you'll want to check out this $10 saving on the soon-to-be-released Xbox Wireless Controller - Phantom Black Special Edition. Usually $60, you can pre-order now for just $59.99 and feel smug about saving 14% when it arrives on September 11. It's the perfect gothic accessory to take into Halloween season and - because it's an official Microsoft product - you don't have to worry about any bits falling off by the time Thanksgiving rolls around. There are some big games coming towards the end of this year - is that hoofbeats I hear in the distance? - so you'll want to make sure that you're rocking reliable technology. Then check out our list of the 30 best Xbox One games to see if there's anything you've missed.